Mary Grisey is an American sculptural installation artist currently based in Toronto, Ontario. She received a BFA in Fiber and Material Studies from The School of the Art Institute of Chicago (2008) and a BA in Painting and Drawing from Marist College (2006). 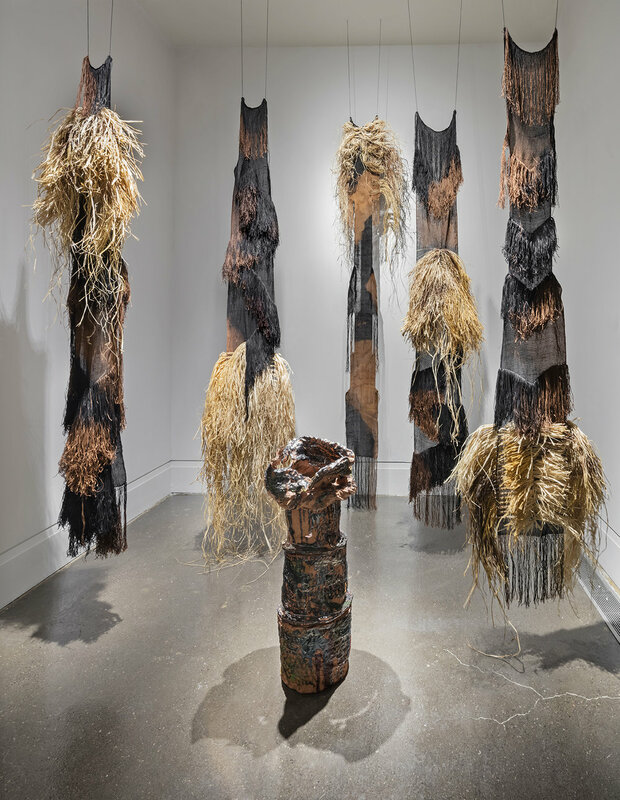 She has exhibited her work in the United States and Canada including New York, Chicago, Kentucky, San Francisco and Toronto. She completed her MFA in the Visual Arts program at York University in Toronto (2014) and was awarded a grant to attend the Vermont Studio Center in the Fall of 2014. Mary Grisey, Sung From the Mouth of Cumae, XIT-RM Gallery, Art Gallery of Mississauga. Photo by Toni Hafkenscheid. 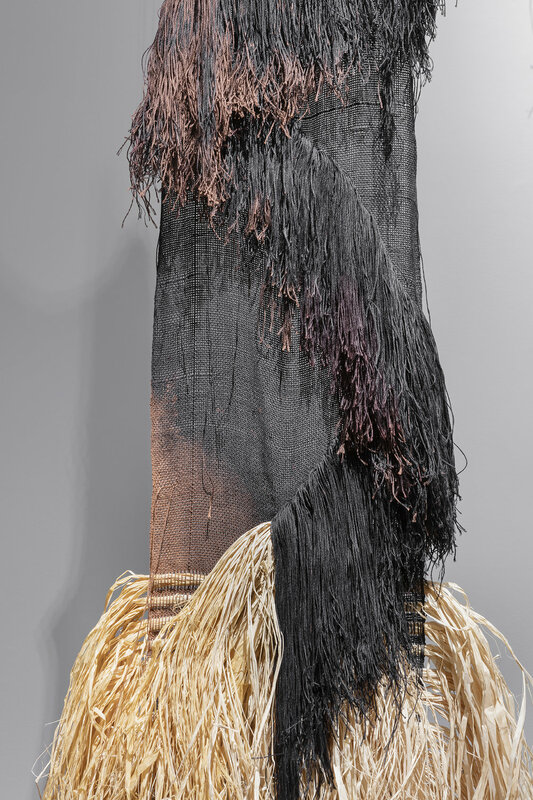 Mary Grisey, Numina of Akasha I – V, 2015, Handwoven & hand-dyed linen and raffia, bleach, rust, XIT-RM Gallery, Art Gallery of Mississauga. Photo by Toni Hafkenscheid. 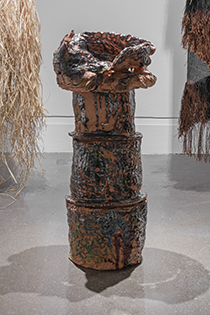 Mary Grisey, Echoes from the Adytum, 2015, Earthenware and sound, XIT-RM Gallery, Art Gallery of Mississauga. Photo by Toni Hafkenscheid.